Oh, the curious case of kale. It may be this decade’s superfood rockstar (see the love poems devoted to it), but there was a time in the not too distant past when people were utterly confused by how to eat the mysterious leafy green. It wasn’t until celebs like Gwyneth Paltrow and Martha Stewart started touting kale’s greatness that it started to gain mainstream popularity. By 2012, Bon Appétit Magazine declared it the year of kale. And on October 2, 2013, the first National Kale Day was celebrated, firmly rooting the cruciferous vegetable in our culture. Although kale didn't really become popular in the United States until the last decade, much of Europe has been cultivating and devouring varieties of the leafy green for hundreds, even thousands of years. In fact, there is evidence that it was once grown by ancient Greeks and Romans. The first mention of kale in American history wasn’t until the 17th century, when it was likely brought over by European settlers. The hearty, cool weather, easy-to-grow vegetable became a staple in early farmers' crops until modern lettuce varieties were introduced and found to be more pleasing to the evolving American palate. Today, though, many health-minded diners turn their noses up at the traditional iceberg or romaine lettuces that have long been the mainstay of the side salad. Modern chefs now offer a variety of salad options that include spinach, arugula, mesclun, baby mixed greens, micro greens, and of course, kale. Why? Because we now know these dark leafy greens pack more health punch. Kale is one of the most nutrient-dense foods. Just one cooked cup has 36 calories and provides a whopping 1,180% of your daily-recommended intake (DRI) of vitamin K. That’s more than any other food on the planet. While these nutritional values are certainly more impressive than a cup of iceberg lettuce, a look beyond the label uncovers even more of the health-boosting benefits of kale. Urinary health. Cranberries aren’t the only food helpful for those suffering from recurring UTIs. In fact, the high vitamin A content in kale helps to improve the urinary tract lining and has also been known to reduce the risk of bladder cancer. Kale is also low in oxalates, which is good news for people who suffer from calcium-oxalate kidney stones or hyperoxaluria. One reason kale is recommended over its dark leafy green cousin, spinach, is because spinach is high in oxalates and shouldn't be consumed as often as kale can be. Heart health. The rich amounts of potassium, fiber, vitamin C, and vitamin B6 in kale have been shown to support a healthy heart. When consumed regularly, along with a healthy diet and exercise, it may actually help lower your risk for heart disease. Bone health. Kale’s biggest health perk is that it is super concentrated with vitamin K, which has been shown to support bone health and boost calcium absorption. Kale's popularity means it can now be bought in just about every grocery store and market. It is sold in a number of ways, including bunches of fresh stalks; chopped, washed, and bagged; even frozen. Regardless of which preparation you choose, it’s recommended to always buy organic. Kale is on the Environmental Working Group's "Dirty Dozen” list of conventionally grown fruits and vegetables that test highest for residual pesticides. You may have also heard of the "Killer Kale" that was found with traces of heavy metals in California. After a media frenzy encouraged people to shun the vegetable, turns out it was all for naught. After some research, it was discovered that kale—and the other cruciferous veggies targeted—were not to blame, but rather the soil used to grow them was the culprit. 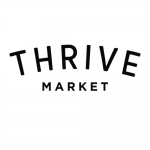 The good news is that kale is super affordable (especially traditional curly kale), which means even organic varieties will be well within the average shopper's budget. If you have the time and the (small) space, growing kale is incredibly simple (and skirts the whole pesticide issue). Like farmers originally discovered, kale is a hearty, cool season vegetable that's easy to manage by following these few key steps. First, though, if you're planting outside, you might want to have your soil tested for toxins by your local County Cooperative Agricultural Extension Service. Depending on the results, they may recommend certain amendments to neutralize the toxins and provide a healthy growing environment. Or, if you choose to plant in containers, your best bet is to use organic potting soil. When to grow outside: Plant kale in the early spring, and harvest until it gets too warm and it goes to seed. Or, sow in the fall and harvest until the ground freezes. 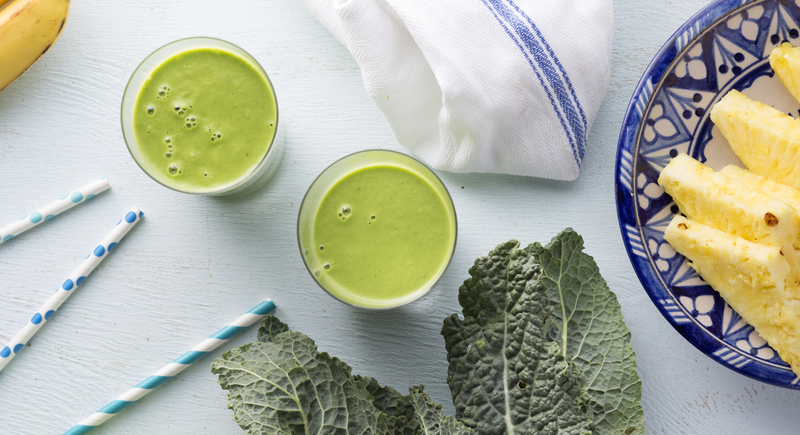 A little frost is actually said to make kale tastier! When to grow inside: Year round! If you're short on outdoor space, kale can be grown in indoor containers during all seasons. A south-facing window is preferable, but the great thing about kale is that it can tolerate some shade as long as it gets six hours of sun in the morning or afternoon. When and how to harvest: You can begin harvesting "baby" kale when it is 2-3" long. These little gems make an excellent salad base and great smoothie additions. Larger leaves, about the size of your hand, are better as the plant matures and the leaves toughen. At this stage, carefully cut the leaves from the outside of the plant, being careful not to cut the central stalk or strip the plant of all its leaves, which will kill it. Once you bring kale home from the store, or pick it from your garden, first let it soak in a large bowl or sink full of very cold water. Gently agitate it so that all the dirt sinks to the bottom, then move the leaves to a towel and pat dry. The quickest way to get the curly leaves off the stalk (which is bitter and usually not eaten) is to fold the leaves over one another, grasp the stalk, then tear away the leaves. This way, you can leave them large enough for kale chips, chop the leaves for sautéing, or shred in a food processor for salads. 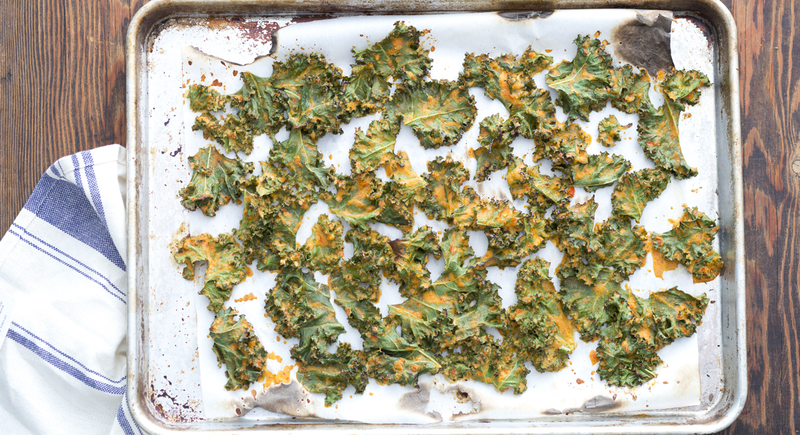 Just like potato chips, the flavor combinations of kale chips can be pretty imaginative. If original is too boring, spice it up. 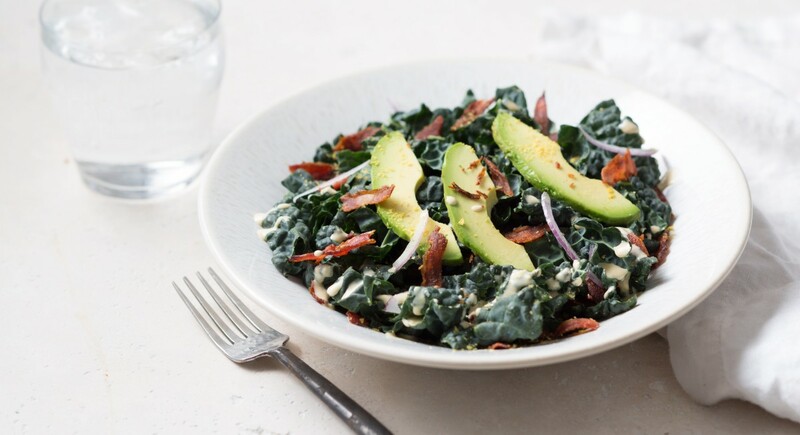 With the added health benefits (and low calories) of kale, you can enjoy guilt-free versions of traditional salad favorites by swapping in these greens. Adding greens to smoothies is a great way to get important nutritional value in your morning meal or afternoon snacks. 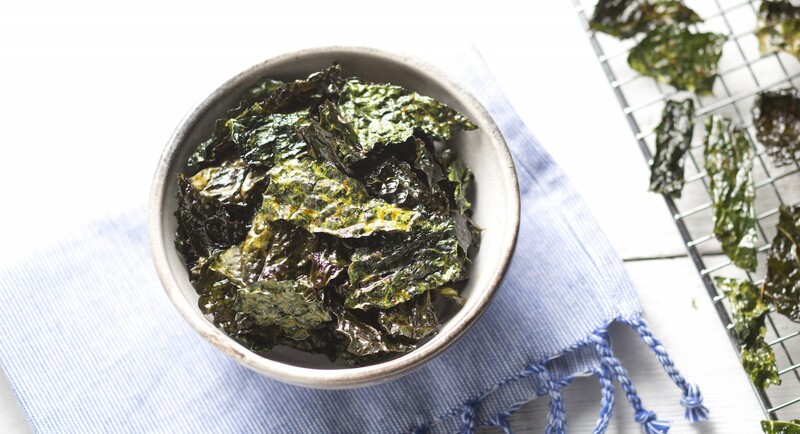 Use baby kale, or freeze or steam regular kale leaves, for a milder flavor. 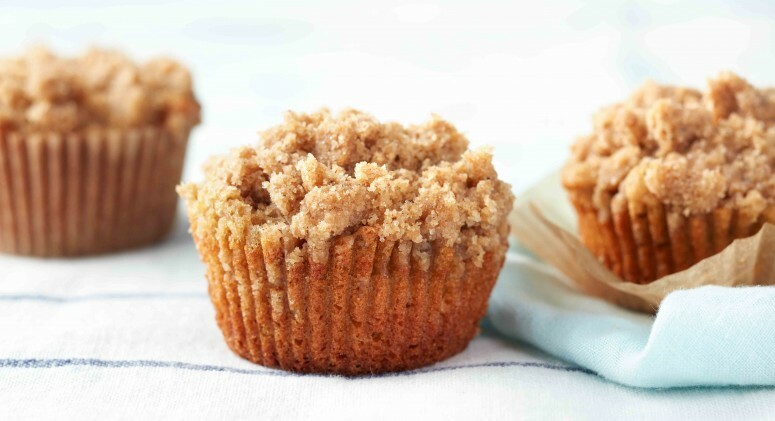 You’ll also want to start with smaller amounts until you get used to the taste, and add in flavorful ingredients like banana and pineapple.